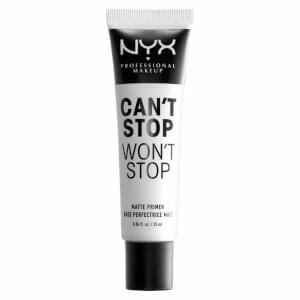 Prep your skin for flawless makeup application with NYX Professional Makeup #NOFILTER Blurring Primer. 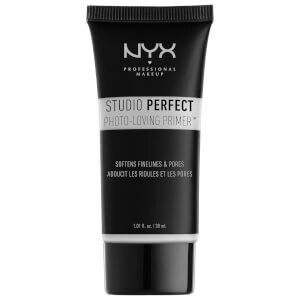 Lightweight and creamy, the makeup primer glides effortlessly onto skin, smoothing and blurring the look of imperfections whilst paving the way for professional, long-wearing makeup results. 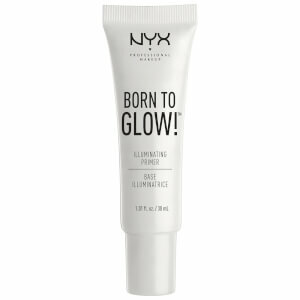 Helps to smoothen skin's texture ready for foundation application, and will prolong makeup wear. The primer promotes a truly flawless-looking complexion; no filter needed. Use fingertips to spread a thin, even layer of primer onto clean, moisturised skin. 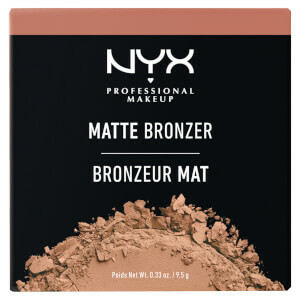 Allow to dry before applying makeup. Dimethicone, Cyclopentasiloxane, Aqua / Water / Eau, Dimethicone Crosspolymer, Peg-10 Dimethicone, Methyl Trimethicone, Dipropylene Glycol, Vinyl Dimethicone/Methicone Silsesquioxane Crosspolymer, Talc, Triethoxycaprylylsilane, Methicone, Magnesium Sulfate, Aminopropyl Dimethicone, Disteardimonium Hectorite, Ethylhexylglycerin, Polyglyceryl-4 Isostearate, Polyglyceryl-6 Polyricinoleate, Polymethylsilsesquioxane, Cetyl Ethylhexanoate, Tocopherol, Phenoxyethanol, Parfum / Fragrance, Limonene, Citronellol, Hexyl Cinnamal. May Contain / Peut Contenir (+/-): Titanium Dioxide (CI 77891), Iron Oxides (CI 77491, CI 77492, CI 77499).